Sixth in the series is Shibe Park, home to the Philadelphia Athletics. 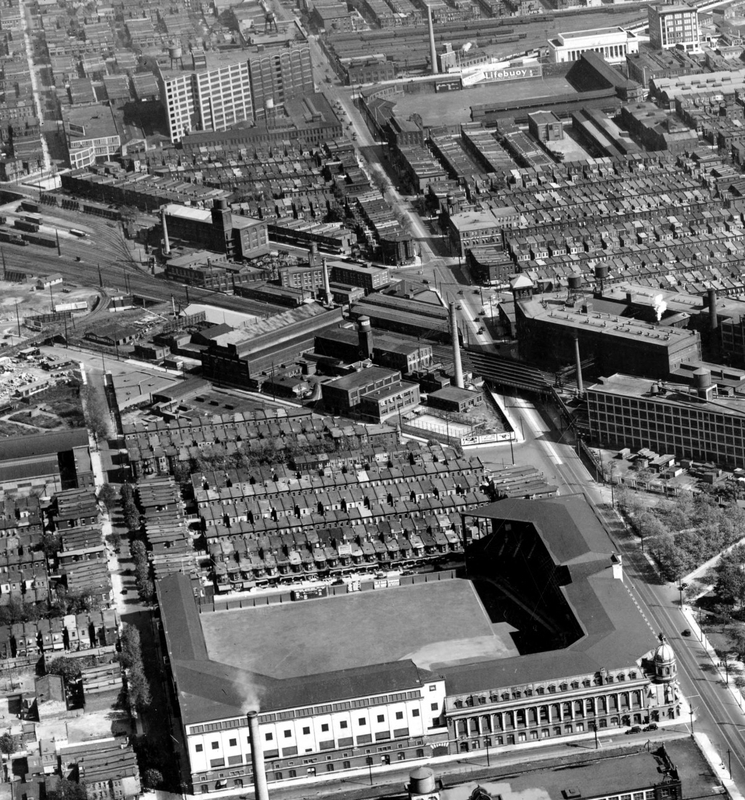 The Phillies were still up the street in smaller Baker Bowl, but since the late Mr. Shibe added accommodations for their Brotherly Love brethren (including the then vacant “Phillyless Philly Clubhouse”, see and read below), they gave up on the old park and moved into beautiful Shibe for good in 1938. Although it looks like a “warehouse or brewery” from the outside, it’s hard to beat the best grass in the majors! Both parks together – Baker Bowl top, Shibe bottom. Pretty good looking brewery, lol. Click photo for much larger version.